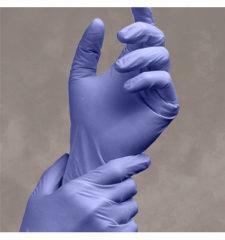 (MENAFN - GetNews) Adenna has introduced many different types of disposable exam gloves and other safety products for the dental industry on its website. The new products include disposable dental exam gloves, sterilization pouches, patient bibs, earloop face masks, and barrier film. ONTARIO, California - Adenna has created a special section for Dental safety products on its website. The section features different types of branded dental exam gloves, different types of patient bibs/lap cloths, face masks, and barrier film, and sterilization pouches. All these products are available for purchase on the company's website. Adenna has launched a wide variety of hand protection and healthcare products for the dental industry on its website. The company has even added a Dental webpage, found at https://www.adenna.com/industries-we-serve/dental-exam-gloves-face-masks-andsterilization-pouches/ , featuring Dental Exam Gloves, Face Masks and Sterilization Pouches on its website. When launching the new products, Adenna has noted that dental professionals face not only their patients' plaque and coffee breath, but also their germs, bacteria, and contagions. As such, the company realizes that the industry requires proper hand care and that personal protection is vital. And that's why Adenna has produced a variety of high quality dental exam gloves, face masks, and sterilization pouches, which meet or surpass the ADA and ASTM requirements, to fit individual needs and budgets. According to Adenna , its dental products are preferred over other brands by dentists, orthodontists, endodontists, prosthodontists, dental hygienists and dental assistants for their consistent high quality and unsurpassed comfort and fit. Adenna has stated that its PRECISION® and MIRACLE® nitrile exam gloves as well as its ADENNA® dual-indicators self-sealing sterilization pouches have been evaluated by the independent clinician consultants engaged by the Dental Advisors, and all have received rave reviews and great ratings. The company's disposable dental exam gloves include MIRACLE® blue nitrile powder free (PF) exam gloves, PRECISION® nitrile powder free (PF) exam gloves, and GOLD latex powder free (PF) exam gloves. The other dental products include ADENNA® self-sealing sterilization pouches, ADENNA® 3-ply fluid resistant earloop face masks, ADENNA® 3-ply patient bibs, and barrier film. Adenna's products are available through national and regional dental distributors such as Henry Schein, Patterson Dental Supply, Benco Dental Supply, Practicon, Smart Practice, Chicago Dental Supply, Pure Life and many more. The company can be followed at https://ca.biznet-us.com/firms/11923777/ . Adenna is a global distributor of hand protection and other personal protection products based in Ontario, California. In addition to the aforementioned dental products, the company also manufactures and markets disposable gloves for the following industries: agriculture, auto, beauty, EMS, farming, fire department & first responders, food service, hair care and salons, healthcare, janitorial, laboratory, law enforcement, manufacturing, mechanics/ industrial, mortuary, nail salons, piercing body art, ranching, safety, sanitary, hunting, tattoo body art and veterinary. The company can also be found at https://www.google.com/maps/place/Adenna+LLC/@34.0305416,-117.6916746,12z/data=!4m8!1m2!2m1!1slatex+gloves+manufacturers+irvine+california!3m4!1s0x80c33564ced10649:0x6139f0d315fde49f!8m2!3d34.061596!4d-117.557321 .